Kiesza in Montreal or Quebec City? Inform me about the next events for Kiesza. Enroll yourself to our priority waiting list for Kiesza to be alerted when new tickets are available. Filling this form doesn't engage you to any purchase. Kiesza is coming to Montreal on May 7th, 2015, for a show at Metropolis. The Calgary pop singer is well known by now for having co-written hits for Rihanna, Icona Pop and Kylie Minogue. She also gained major attention for her hit single Hideaway, in the spring of 2014. 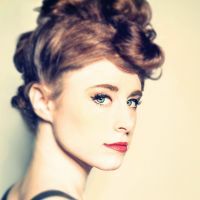 Don't miss Kiesza's concert in Montreal this spring !